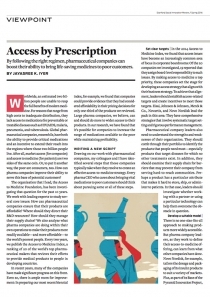 In the article, Luca Genovese and Danny Edwards, Researchers at the Access to Medicine Foundation, discuss the role of pharmaceutical companies in limiting corrupt acts and unethical behaviour to mitigate their harmful impact on access to medicine in low- and middle-income countries. Access to medicine continues to be out of reach for an estimated two billion people worldwide. 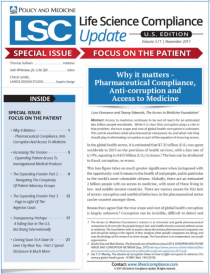 While it is clear that corruption plays a role in that problem, the true scope and cost of global health corruption is unknown. 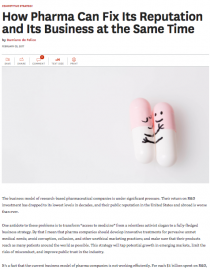 This article examines what pharmaceutical companies do and what role they should play in eliminating corruption as part of the equation of ensuring access.